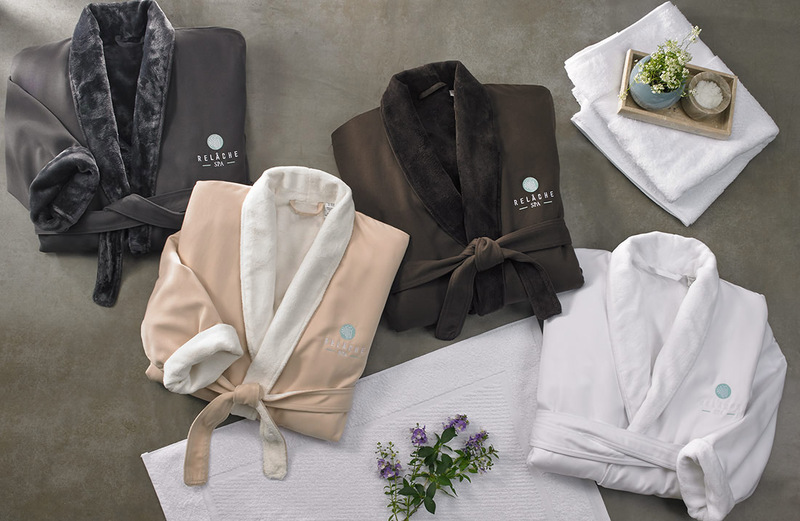 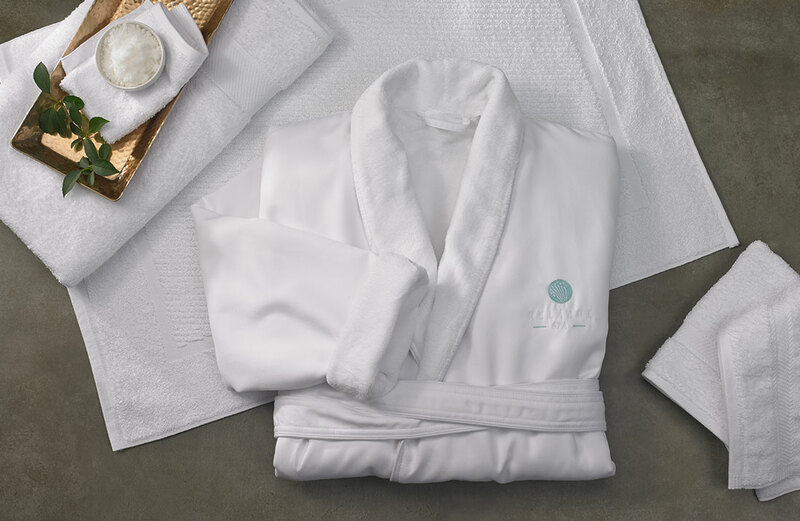 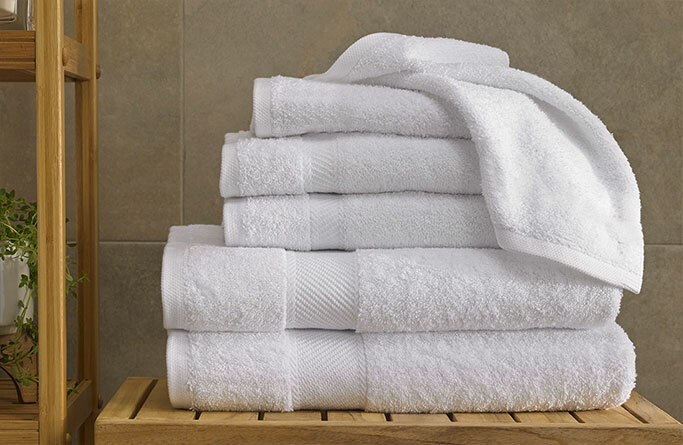 Take lounging to a luxe new level with our Relâche Spa Microfiber Robe, the same robe loved by guests of our acclaimed Relâche Spa within Gaylord Hotels resorts. 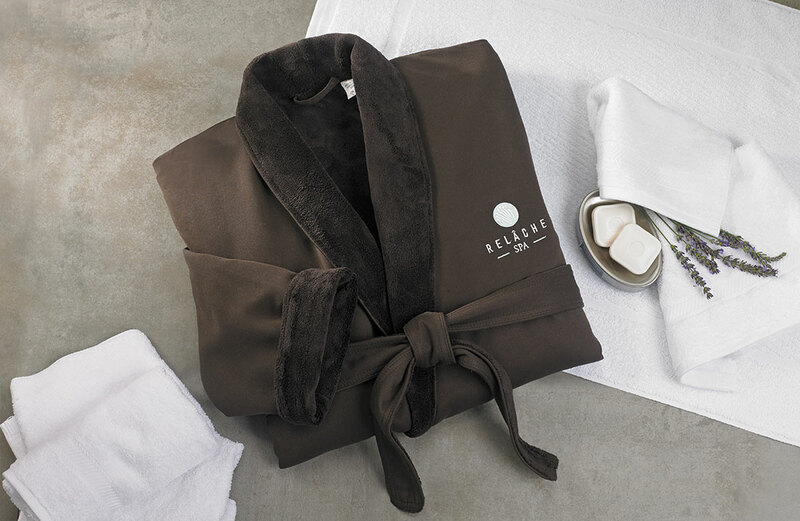 Choose among four elegant color combinations: the Charcoal and White shells envelope you in a plush white lining; the Natural shell has a soft champagne lining; and the Chocolate features rich brown lining. 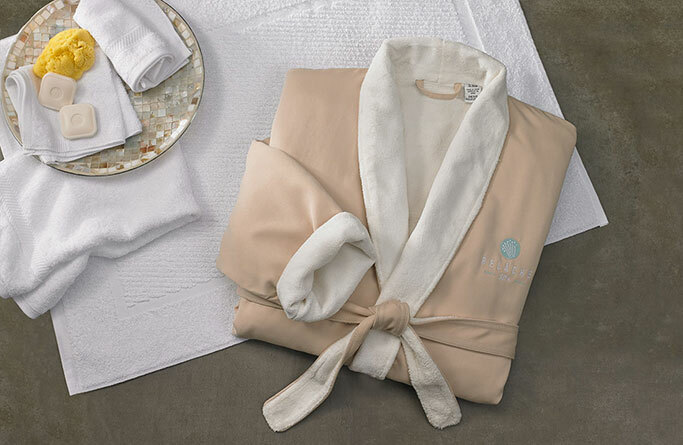 A shawl collar warms your neck, while two side seam pockets warm your hands. 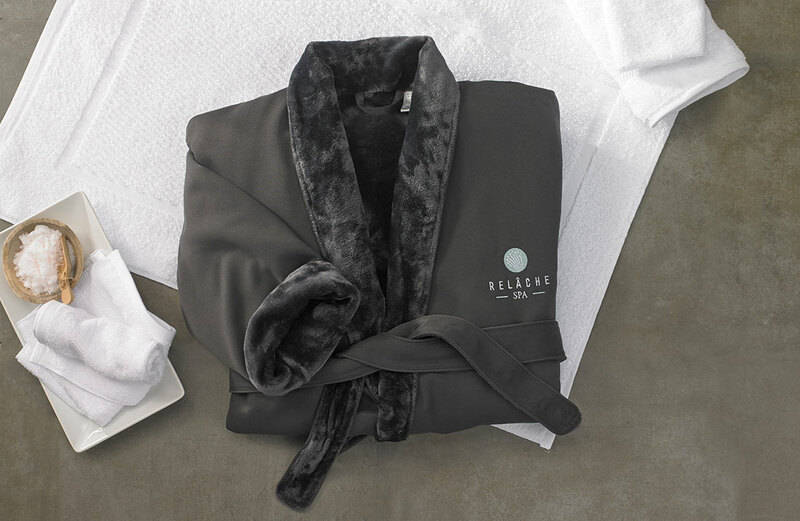 A Gaylord Hotels and Relâche Spa Exclusive, this robe is available with or without embroidered logo.